The Schrödinger Materials Science Suite offers computational tools specifically tailored to studying the gas-surface chemistries of atomic layer deposition (ALD) and related nanofabrication processes. Schrödinger software is designed for rapid and automated enumeration of chemical space, detailed study of gas-surface chemistries at the quantum mechanical level (usually with density functional theory, DFT) and prediction of key properties. This webinar is aimed at researchers in industry and academia, at any career stage, who are interested in using atomic-scale modeling to complement other research techniques. In the webinar we will demonstrate and discuss how this modeling approach can play an important role both in deepening our understanding of existing processes and in discovering novel chemicals. Industries from transportation to consumer care products to medical equipment rely on polymers and complex mixtures to accomplish their business objectives. The materials in these fields must meet a variety of different requirements and perform under different conditions. Schrödinger Materials Science Suite has focused capabilities that allow for understanding and predictions to be achieved across these industries. This presentation will describe how the Polymer and Soft Matter tools in Schrödinger Materials Science Suite provide holistic suite of capabilities to meet the needs of this varied material space. Systematic computational evaluation of steric and electronic contributions provides an unprecedented fundamental understanding of factors controlling a target reaction. With these structure-property relationships, one can re-design a reaction or catalyst to achieve desired activity. Unfortunately, this is an arduous process that requires meticulous maintenance, specialized training, and accounting of hundreds of files and properties. To democratize the fundamental understanding, design, and discovery of novel catalysts, a reaction workflow has been developed. This suite of tools, with minimal user input, automates reaction coordinate mapping, conformational searches, ab initio computation of ground and transition states, and property calculations. With in silico high throughput screening the rate of discovery and understanding is accelerated. Being agnostic to the chemistry of interest, several homogeneous catalysis examples are presented. The Reaction Workflow consists of five major operations: (1) generation of a reaction coordinate input, (2) mapping of each novel catalyst onto known reaction coordinate, (3) conformational search of each reaction step, (4) ab initio computation of each ground and transition state geometry, and (5) calculation of reaction barriers and other properties. Using a known reaction coordinate of interest, a novel catalysts is mapped onto individual structures. This is done with a combination of alignment atoms and lists of keep/remove atoms. Then each reaction coordinate structure is subjected to a conformational search to remove any steric clashes and to generate structural conformations. Using Jaguar, ground state structures are optimized while transition state structures are first preoptimized then fully optimized. Additional single point, solvation, and other properties can be computed on the final structures. For each step of the reaction coordinate, thermochemical properties are Boltzmann weighted and correlated to their parent structure(s). This automatically computes the reaction barriers and selectivities for all steps. In this presentation, we will provide an introduction and overview of the key capabilities for catalytic reaction screening within the Schrödinger Materials Science Suite; highlighting builders, QM simulation workflows, and prediction of properties and data analysis. Recent advances in computational materials science have made it possible to apply computer-aided evaluation and screening framework directly to the design space of organic electronic materials. The framework has continuously grown its popularity among the key organic electronic applications such as organic light-emitting diode (OLED). In this webinar, we showcase Schrödinger’s latest solutions for the design and development of novel organic/organometallic materials based on high-throughput quantum chemistry and molecular dynamics technology. 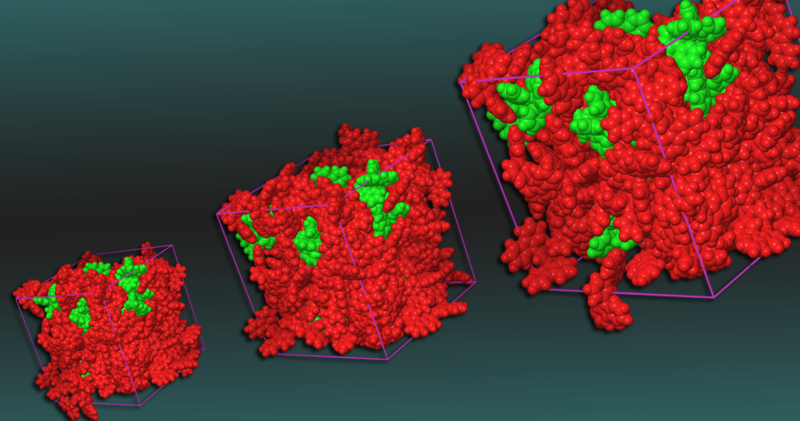 Integrated with cutting-edge automated modeling and simulation workflow environment, Schrödinger users are expected to revolutionize the way in expanding the design space of organic electronic materials. Quantum mechanics (QM) simulation has become a reliable tool for the prediction of structures, chemical mechanisms, and reaction energetics for fundamental reaction steps. Employing automated QM tools, we can identify key reaction steps and their kinetics involved in polymer synthesis and matrix-crosslinking. The information obtained from QM, is often overlooked, but is critical in building realistic polymer systems and condensed phase morphologies. We have developed comprehensive and easy-to-use polymer builder and crosslinking tools that are chemically agnostic; allowing users to activate diverse reactive chemistries. These tools take into consideration the reaction kinetics, obtained from our QM tools, that are involved in polymer synthesis or crosslinking step. Combining these tools with our accurate forcefield and GPU accelerated MD code, we can generate physically meaningful morphologies and efficiently study the properties of crosslinked polymer systems. In this presentation, we will provide an introduction and overview of the key capabilities for crosslinked polymer simulations within the Schrödinger Materials Science Suite; highlighting builders, QM and MD simulation workflows, and prediction of properties and data analysis.